I'd be out on the corner, hat in hand. "Gas, airfare, lodging? Now at The Phillips Collection. Utagawa Hiroshige, Plum, from the series The Fifty-three Stations of the Tokaido (Hoeido edition). Private Collection. Lyrical landscapes, colorful characters—the woodblock prints of Utagawa Hiroshige brim with natural beauty and reveal a world now past. East Meets West: Hiroshige at The Phillips Collection will feature Hiroshige’s famous series, “The Fifty-three Stations of the Tokaido,” a travelogue of stops along an ancient highway known as the Tokaido Road. On the journey through the mountains and along the sea, Hiroshige captured the rhythm of life in 19th-century Japan with dramatic landscapes, humorous vignettes, and vivid portrayals of the shifting seasons. 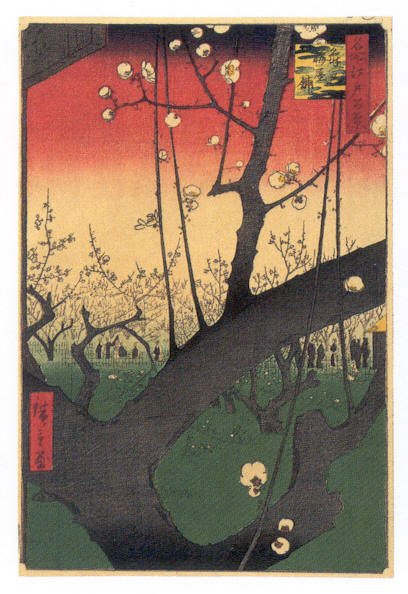 These prints catapulted Hiroshige (1797–1858) to fame in his native Japan. Known as the artist of mist, snow, and rain, Hiroshige’s inventive compositions made a lasting impression on Western artists as well. Complementing the Hiroshige series are works by Bonnard, Cézanne, Prendergast, and many others from The Phillips Collection. Explore the undeniable connection between East and West through the impact of this remarkable artist. An exclusive collection of Ukiyo-e from the Kawasaki Isago no Sato Museum of Art. Exhibition includes some pieces never before publicly displayed. Part Two of this exhibit features 20 paintings and 112 prints from Edo Era Japan (1603-1868) and opens to the public on June 17th. This is the first time many of these prints have been on display outside Japan; a very rare opportunity to see such a large selection of art from a private collection. 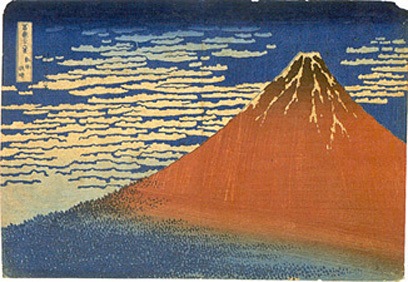 The word ukiyo-e is commonly translated in the United States as “pictures of the floating world.” This artistic style first flourished in seventeenth century Edo, the city now known as Tokyo, and eventually influenced artists far beyond Japan’s borders, including van Gogh, Monet, and Whistler. Ukiyo-e techniques utilize only a chisel and one hand-held bamboo-skin press to express highly refined skill and beauty. Introduced to the world by artists such as Kitagawa Utamaro, Katsushika Hokusai, and Ando Hiroshige, ukiyo-e continues to captivate modern day audiences.